1. Paper Crafter's Corner Magazine Monday Challenge Week 169 - This is a last-minute (almost literally!!) entry into this fun challenge.On Mondays, we are given a vintage magazine cover to inspire us. This week we can draw inspiration from any part of the cover. I chose the swanky lady and the "horns". 2. Simon Says Stamp Wednesday Challenge - Happy Birthday. This is in honor of their Wednesday Challenge's 8th Birthday!! They have EIGHT prizes up for grabs this week, so be sure to join in. For my card, I used a classy vintage woman from the Graphic 45 Times Nouveau collection. Instead of "horns", I used my Memory Box - Gwyneth Flourish with lots of tendrils and a piece of the rose gold cardstock from my DCWV Mercury Glass Stack . LOVE!! My sentiment is from the Altenew - Label Love stamp set and stamped in Versafine - Majestic Blue ink. The patterned paper is a scrap from my stash. I inked the edges of my panels with Distress Ink in Walnut Stain. That's all for now. Thank you for stopping by. I especially appreciate all your kind words on my recent guest designer cards!!! Wonderful vintage card Janis! The image is so elegant & looks lovely against the deep blue. Very nice card Janis, vintage is always great, IMHO! Congratulations on your latest wins! Love that royal blue background. It pulls out all the other pops of blue. Nice! This is so classy . I love the look you have created. I didn't know you had so many cats either. I bred Persians for a good many years and had 21 here at one time. Booking them into the cattery each yr for their holidays was a logisigitcal nightmare. Hugs Mrs A. Another beautiful graphic 45 design! I love the deep blue background which gives a simple elegant look to your design, and the die cut flourish really pulls everything together perfectly. 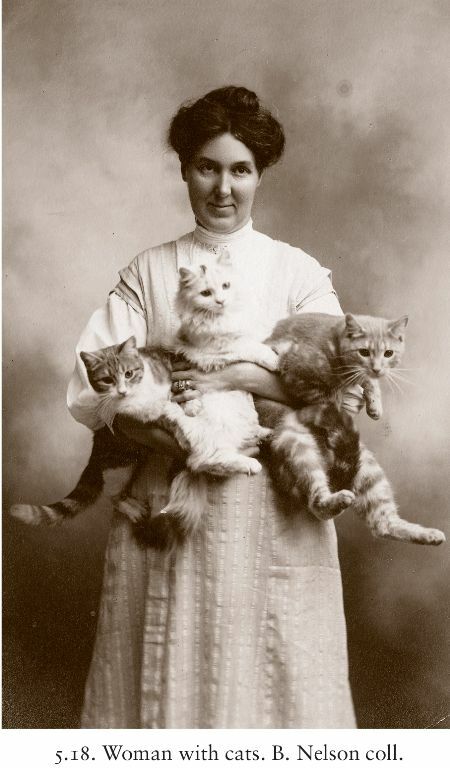 As for that photo of a woman and her cats...hahah! Not the most graceful of poses and not sure how much the cats liked it!